We understand that carpet cleaning can be a chore- literally. No one really likes to vacuum or scrub out stains. However, in order to keep your carpets looking good for longer, it’s important to keep them clean with regular maintenance. Getting into a cleaning routine can make it seem less difficult and you will see great results from it. 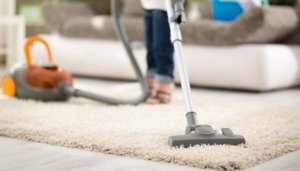 Understanding the right way to clean carpet will help you save time by doing it correctly the first time with products that do the job right from the start. Not only will our Seal of Approval cleaning products help keep your carpet looking great, but they can also help meet the warranty requirements of the carpet manufacturer. Take off your shoes. You can save wear and tear on the carpet by asking everyone to take their shoes off before walking on your carpet.